Our kids are in a world where rapid technological advancement has enhanced the need for learners to think in abstract terms of Math and Science. Keeping in mind the importance of Math as a subject in enhancing the analytical and critical thinking skills of young learners, Logix Engine brings to you the Scholastic PR1ME Math Program. PR1ME Mathematics is a world-class program based on the innovative and effective teaching and learning practices of top- performing Singapore, Republic of Korea and Hong Kong. The learning progressions within the program — how mathematical content progresses systematically across grades within broad mathematical topics — are constructed on a composite of standards* that takes into account the successful practices of these nations. Proficiency in mathematics is a strong predictor of positive outcomes for young adults, influencing their ability to participate in post-secondary education and their expected future earnings.” – OECD Report: PISA 2012 Results: What Students Know and Can Do. The program has been developed in collaboration with the Ministry of Education, Singapore. It has been adapted from the highly acclaimed and widely proven Primary Mathematics Project developed by Singapore’s Ministry of Education. The Primary Mathematics Project transformed Singapore into a top-performing nation in mathematics in 1995 — a status it has successfully retained since then. This program is based on a proven pedagogical approach and fundamental practices. This is done through introducing various “thought bubbles” in the teaching process for the concepts. This is further developed as students create their own word problems that are realistic and can be solved, making them more aware of their mathematical thinking. Mathematical problem solving is central to learning in PR1ME Mathematics. It involves the acquisition and application of mathematical concepts and skills in a wide range of situations, including non-routine, open-ended and real- world problems. Through the curriculum there is explicit emphasis on the problem solving process which involves, understanding the problem, planning how to solve it, working out the solution, and checking the answer. Further the students are exposed to a number of problem solving strategies, including the “Bar Model Method” which helps them with number relationships, and accurate visual depiction. 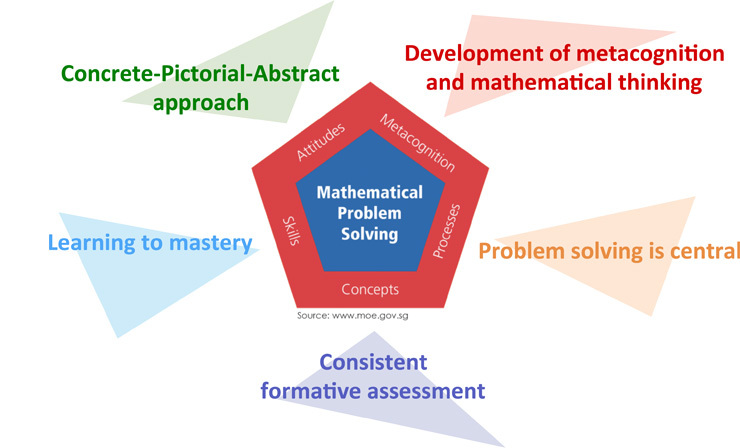 The pedagogical framework of PR1ME Mathematics places mathematical problem solving at the center and recognizes that the development of mathematical problem solving ability is paramount to successful mathematical learning. The assessment structure consists of “Readiness assessment” to ensure the prerequisite knowledge is there before covering a new concept. At the end of each concept “Continuous assessment / reinforcement” opportunity is provided through practice books, thereby ensuring concepts are assimilated before moving onto other concepts. Multiple related concepts are grouped and assessed via a periodic “End of Unit Reviews” in the practice books. 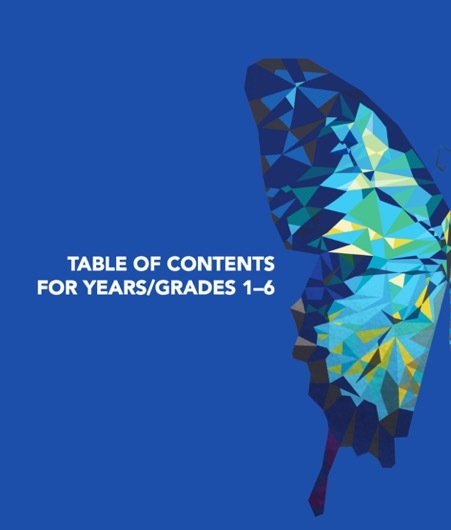 The content in Pr1me Mathematics is presented under five strands of mathematics across six grades: Numbers and Operations, Measurement, Geometry, Data Analysis and Algebra. Students develop mathematical skills related to individual topics, as they progress to use apply them as an integrated whole. The Concrete-Pictorial-Abstract Approach develops deep conceptual understanding. Students learn to make connections between physical materials, visual representations and mathematical symbols. Click to see the PR1ME Mathematics curriculum mapping according the mathematical strands and Grades.